FREE Shredded Wheat Cereal w/ Coupon! Yay! 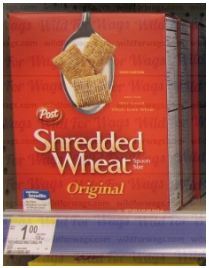 If your Walgreens store has the small boxes of Post Shredded Wheat, you can get them for free! NOTE: You can grab a 2nd $1/1 coupon here!